Announcement time: Look at your calendar. Find the last Friday of the next few months (Sep. 28th, Oct. 26th, etc.). 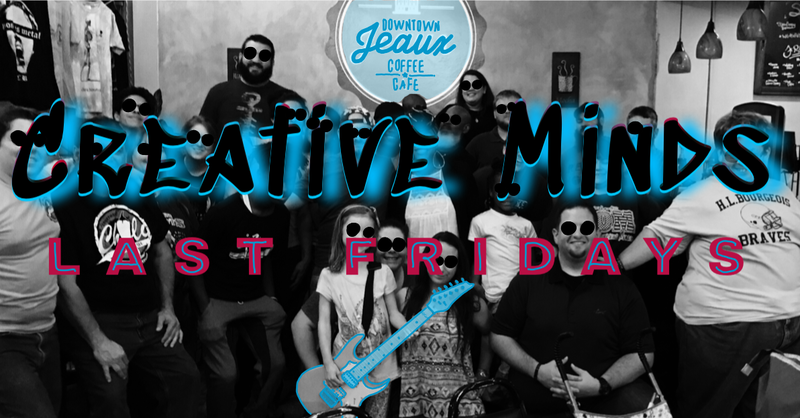 I’ve partnered with Downtown Jeaux to bring you Creative Minds (microphones, guitars, arts, crafts, Mario Kart, and Fortnite). Though creativity is at the heart of this group, the main focus is bringing people together (so you don’t have to be creative to hang out with us). It’s that intersection of creatives and non-creatives that makes everything click: we all vibe off of each other and have a good time. You should join us.